Unfortunately (in my opinion), the movie followed the story of most Alice in Wonderland rewrites I have read. Alice goes to Wonderland as a little girl, comes back to the real world, forgets everything, and has to come back as a teenager to save Wonderland. This has happened in almost every Alice in Wonderland spinoff book I've ever read, and I'm a bit tired of reading the same story over and over again. Fortunately, Tim Burton was able to make the same old story feel fresh and new by using his slightly creepy, insane style. I think that Burton's style really suited the story. The visuals were the best of any Burton film I have seen and very impressive in comparison to Disney live-action films. They brought whimsy to the story, but also made everything feel a bit twisted and wrong. The CGI characters were very well animated as well. I'll be honest here: I wasn't overly thrilled with Mia Wasikowska's performance as Alice. I thought she was a bit dry and boring. I think she could have been a bit more animated. (That being said, she is much better in the next film. I'll talk more about that when I review Alice Through the Looking Glass.) However, the other actors were very good. Burton's favorites, Johnny Depp and Helena Bonham-Carter, were wonderful as always. I also really liked the voice of the Dormouse (Barbara Windsor) and the voice of the Caterpillar (Alan Rickman). Despite its shortcomings, Alice in Wonderland is a beautiful and creative take on Disney's original vision. It really set the bar for future Disney remakes. 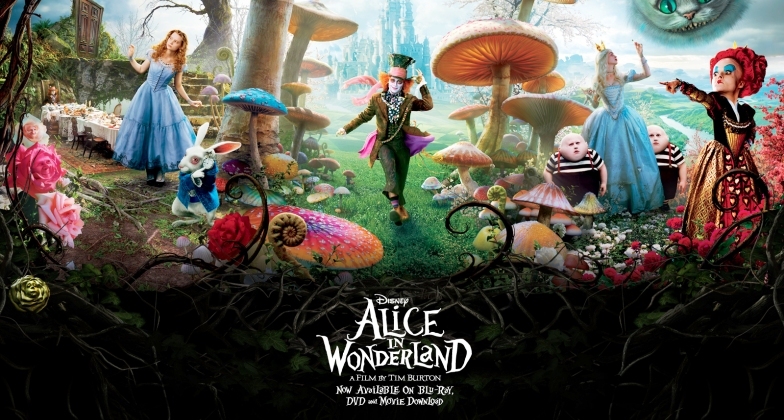 Alice in Wonderland fans should definitely try this film. What is your favorite thing about Alice in Wonderland? It's really good, I love it!